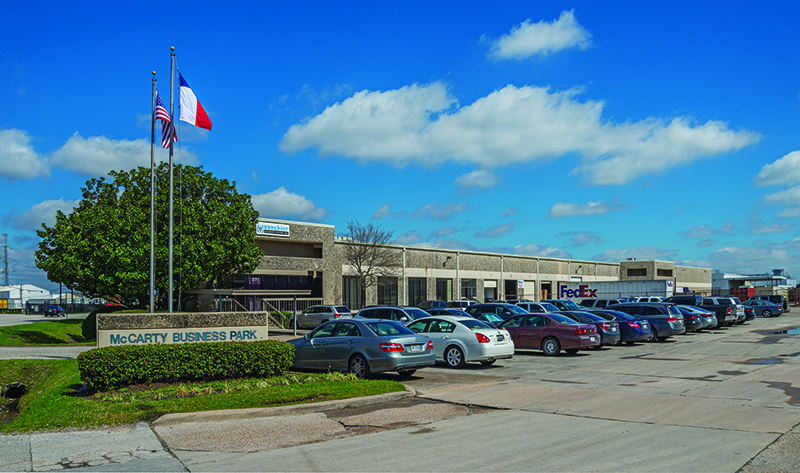 The McCarty Business Park is part of a Houston portfolio purchased by an ATCAP fund. HOUSTON – (Realty News Report) – ATCAP Fund I bought a four-property, 16-building Houston industrial portfolio totaling 936,608 SF. The HFF team of Trent Agnew and Rusty Tamlyn represented the seller, Stockbridge Capital Group of San Francisco. The portfolio included the Astro Business Park on Knight Road, the McCarty Business Park, two buildings on Griggs Road and four buildings on Westpark Drive. The property was the first investment of ATCAP Fund I, LP, the new investment vehicle of Dallas-based ATCAP Partners. Financing for the purchaser was arranged by Brian Carlton and Cameron Cureton of HFF. It was a five-year, fixed-rate loan with Global Atlantic Financial Group. The portfolio comprises the 206,483-SF Astro Business Park at 8825-9087 Knight Road; two buildings totaling 225,475 SF at 5990-6018 Griggs Road; the 298,081-SF McCarty Business Park at 245-309 McCarty Street; and four buildings totaling 206,569 SF at 8710-8798 Westpark Drive. The portfolio is 95 percent leased to 57 tenants and in infill locations in three of the top industrial submarkets in Houston.